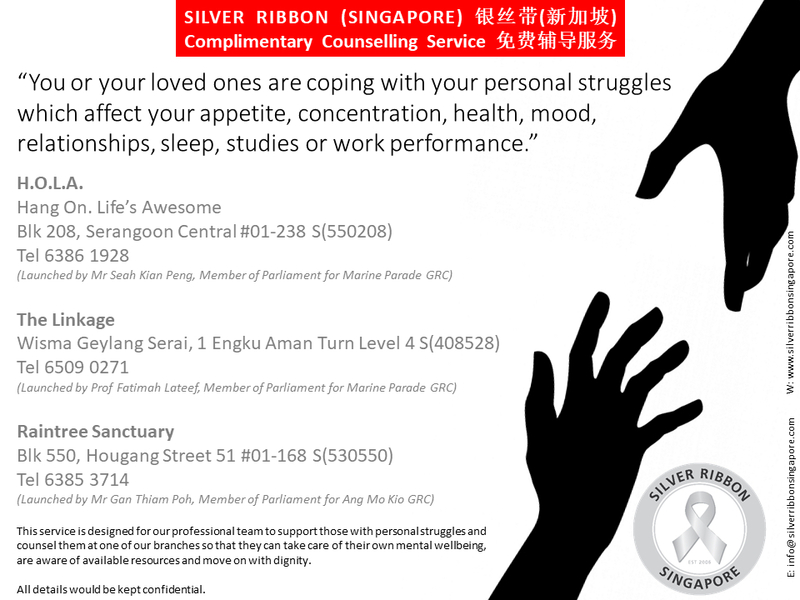 This is the official website of Silver Ribbon (Singapore). We are a non-profit organization launched by Former President Nathan on 4 February 2006 to combat mental health stigma and encourage early treatment. According to the latest mental health study, one in ten people in Singapore will be stricken by mental illness in their lifetime, and many are likely to face depression - the most common mental illness here. Such an alarming fact necessitates our presence as a local organization that reaches out to whoever needs help in building positive mental health.